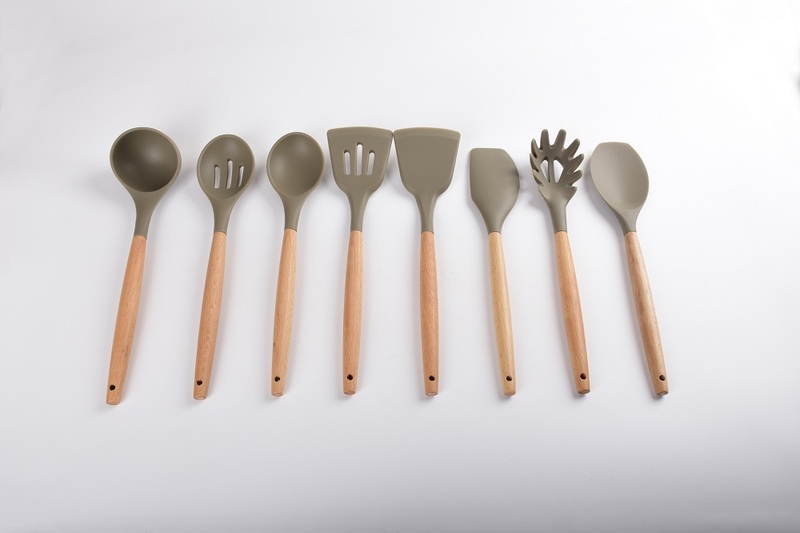 Product categories of Silicone utensils set, we are specialized manufacturers from China, Silicone Utensils Set, Silicone Untensils suppliers/factory, wholesale high-quality products of Silicone Kitchen Utensils Set R & D and manufacturing, we have the perfect after-sales service and technical support. Look forward to your cooperation! The advantages of Silicone utensils compared with the Nylon Utensils are those silicone has bigger range of heat resistant, which is -60°C to 240°C, it is innocuous, tasteless, thicker and more stable. The silicone utensils are located in high quality kitchen tools markets, along with the silicone products are more and more popular today, the silicone utensils become hotter and hotter.